Great importance is attached to the development of social and emotional skills. Children are encouraged to be self-disciplined in their behaviour, to build good relationships and to develop a sense of responsibility towards the needs and feelings of others and of their environment. Our school feels it is of the utmost importance to have good systems in place for protecting children and safeguarding their welfare, throughout all the activities which the school undertakes. Ensuring a happy and healthy environment is central to our school ethos. We do our utmost to ensure that children feel able to approach staff with any problems or concerns. We do not tolerate bullying and this is never an acceptable behaviour. We promote healthy eating through fruit snacks and encourage everyone to drink water throughout the day. 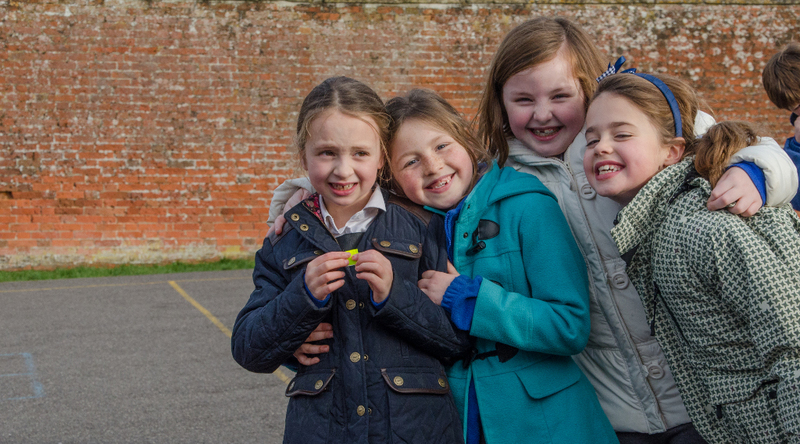 We make the most of our extensive school grounds and whenever we can we use our outdoor environment to learn. We encourage a supportive and caring learning environment where everyone can feel safe, happy, and valued as part of the Shellingford School Family. Older children help younger children spontaneously in the playground as well as in more organised class activities. We use a ‘Peaceful Problem Solving’ strategy, with a language of ‘choice and consequence’ to resolve conflict or upset. This approach uses peer mediation to build, maintain and repair relationships. Peaceful problem solving and 'I' messages posters from the links on the right.